Do I need a converter to charge devices while I am in Australia? 220 volts. Most travelers will need an adapter because the Australian three-prong plug is different from those in most countries. Do you handle group travel? Yes. Please call our office with group travel inquiries. We will assist you in booking the best price for your group. Group leaders receive travel benefits. Call at 1-866-475-7023. Do you offer travel insurance with your packages? Each supplier offers travel insurance with their itineraries. 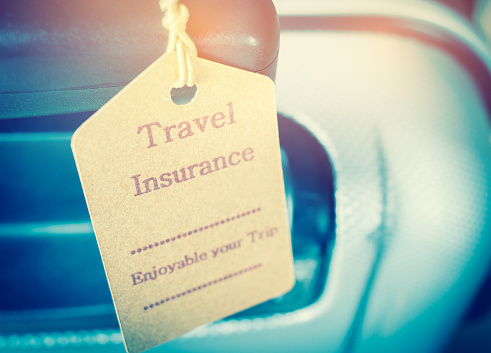 We also offer separate coverage through outside companies offering a broad range of protection for situations such as medical emergencies, weather, luggage loss or delays, and other coverage. Both options will be discussed with you prior to booking to see which would provide the best coverage, at the best price. 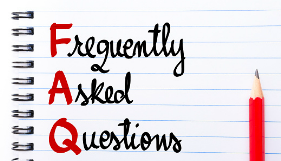 Do you recommend a Passport or Visa service ? 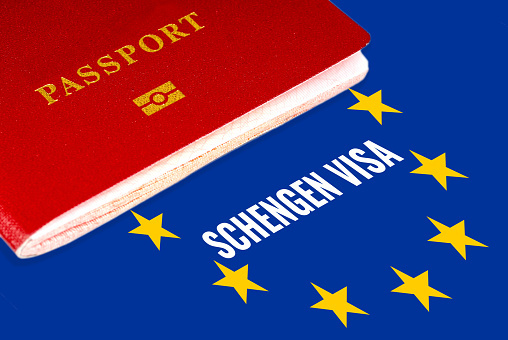 Passport and Visa requirements are available 24 hours a day, 7 days a week, 365 days a year through ZVS's website. AIRPORT DELIVERY OF DOCUMENTS is also available. How do I check pricing & availability of a package listed on the site? To check availability & pricing, simply call 1-800-942-3301. Agents are available from Monday - Friday from 9 a.m. to 8 p.m. (Eastern Standard Time) Saturdays from 10 a.m. to 3 p.m. year round, and Sundays from 12 p.m. to 4 p.m. January through May. If you prefer, you can email your request to tours@atlastravelweb.com. How far in advance should I make my travel plans? 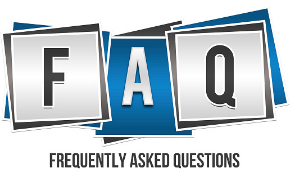 Reservations including airfare must be made at least 21 days prior to travel. Land only bookings can be made up to 10 days prior to travel. Because the peak travel season is limited, tours sell out quickly, so we recommend booking at least 3 to 4 months in advance. Australian seasons are the opposite of those in the Northern HemisphereÃ¢? ?when it's summer in the north, it's winter south of the equator (Australian winters are fairly mild but a bit rainy). The best months to visit are October and April, though September-May is all right in most parts of the country. December-February are the hottest months, July and August the coldest. The Great Barrier Reef is best visited June-October: there's low rainfall, the temperature is comfortable during the day, and the water visibility on the reefs is at its best. Cyclones can disrupt sightseeing plans November-April and dangerous marine stingers congregate in the waters of the far north November-May. Take a sweater, no matter when or where you're going. What is the currency in Australia? The currency in Ireland is the Australian Dollar. Sometimes you can convert money at your local bank but if not there will be kiosk at most abroad airports. What is the difference between the different tour types? Make the most of your money & purchase a tour package for your next vacation. We are pleased to offer a variety of tours to fit all budgets & desires. The tour companies we work with have tours that range from the budget category with basic sightseeing and some meals, to luxury tours where everything is included. Escorted tours offer better rates than if you were to travel on your own, and the local guides with years of experiences help you discover more sights and understand the culture more than you could by traveling on your own. The list continues through companies that will include nearly every conceivable activity as preplanned and prepaid. The deluxe tours which feature unique itineraries, most meals and sightseeing. We offer tours with a specialty focus such as hiking, biking, cruising, Oktoberfest, Christmas Markets and tours for the 18 - 35 year old. Each of the tour types have their own unique features and benefits and each meets the needs of a variety of travelers. The budget tours are offered by the large tour companies: Each company offers slightly different itineraries, but the general features are the same. The budget tour is best suited to the traveler who wishes to have a good basic introduction to travel in Europe but who also wishes to have option of selecting some of the sights to see while traveling. A budget tour will include basic sightseeing, some meals and hotels which are Tourist or Superior Tourist class, with rooms that offer private baths. Please note that hotels in Europe are normally smaller than U.S. hotels. Hotel locations will not always be in the center of the major cities you will be seeing. Buses normally carry over 55 passengers on sold out tours. There is no wash room on-board the busses, but the tour makes frequent stops. Budget tours appeal to all age ranges & are a great way for single travelers who are willing to share a room to not have to pay a single supplement. These tours allow you to see the real Europe for a down to earth price. The itineraries are similar to, but do not come in the extensive variety that the first class tours come in. A list of optional tours are included with your documents so that you will know what is offered and the cost in advance to traveling. 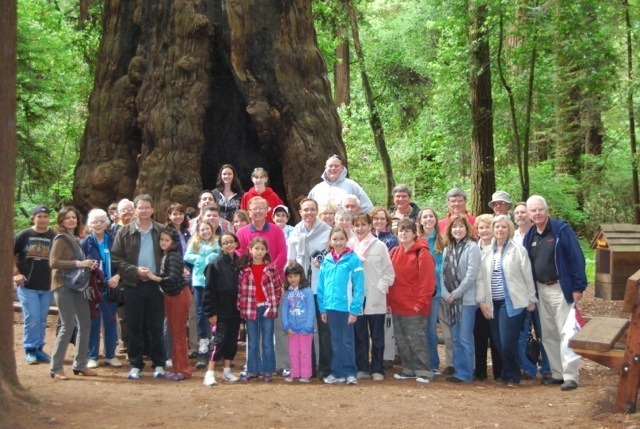 Budget tours typically run from $95 to $135 per person, per day for the land portion of the tour. 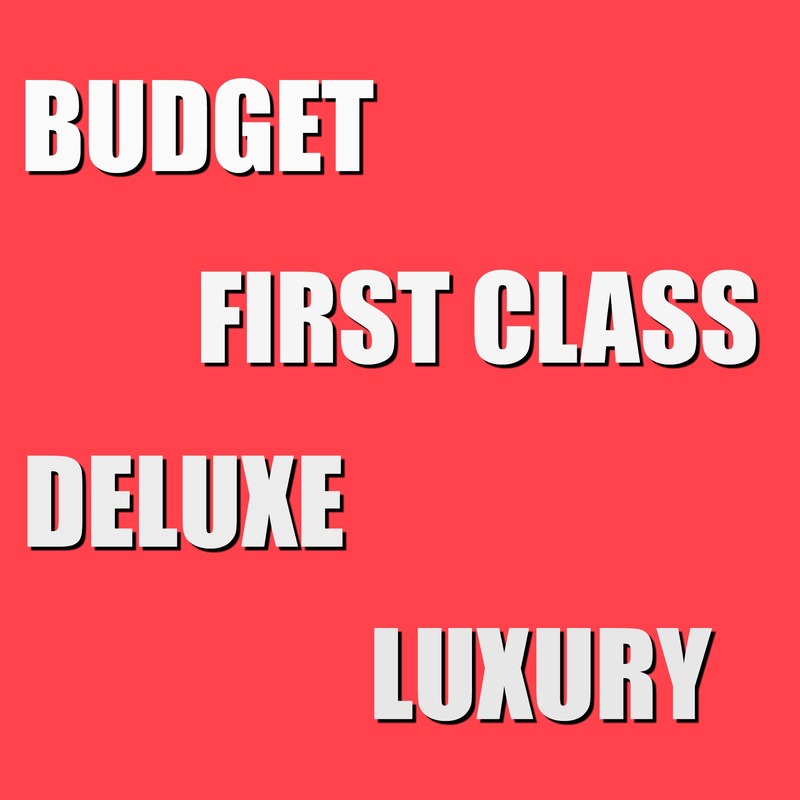 The first class tours are offered by the sister companies of the budget tours. Each of these companies offers slightly different itineraries, but the general features are the same. First call operators travel to more than 70 countries, with escorted tours, independent hotel packages and leisure style vacations. The first class tour is best suited to the traveler who wishes to have more of the activities preplanned and prepaid and includes more meals in the tour cost. The host hotels for the first class tours will have more features & be more similar to U.S.-style lodging. These tours still allow for free time to explore on your own but allow the semi-adventurous traveler to see a great deal of Europe. In many of the cities your regular tour guide will be joined by a local guide who will bring the specialized knowledge that only a local can have. Quite often the first class tours include two night stays at many locations to allow for maximum time in the location. While Globus offers perhaps the widest variety of tours, Trafalgar and Insight offer popular tours with different dates and stops. Hotel accommodations are always first class. The buses feature less passengers than the budget tours, to provide more comfort for the traveler. Washroom facilities are located on the busses. First class tours include more meals, normally providing buffet breakfast daily and 3 course dinners on selected nights. Optional excursions are available on these tours as listed in the individual itineraries. A comprehensive list of these tours are provided with your tour documents. Travel bags are given as part of package. First class tours typically run from $165 to $275 per person, per day for the land portion of the tour. The deluxe tours offer the discerning traveler the opportunity to partake of an escorted tour that is not your usual tour. Deluxe tours offer smaller, quaint lodging that has modern features, including most if not all meals at fine restaurants. Deluxe tours offer inclusive sightseeing and features that are not available on the first class tour. On a deluxe tour you will experience a tour like you imagine in your dreams. These tours include entertainment such as folklore shows, concerts & special events, no need for tipping and a good balance of unscheduled leisure time. These tours feature the concept of "lifeseeing," which focuses on the lifestyles and culture of Europe. You will see the famous and sought after destinations, but also experience the delights of the small inn, quaint restaurant and culture of Europe. Dollar for dollar these tours will provide an excellent return on your purchase. These tours are for the travel lover, helping to make special memories to savor before the next experience. Even more than the first class tours, the deluxe tour will offer a variety of modes of transportation, including mountain railroads and river cruises to supplement the first-class motor-coach travel. Deluxe tours typically run from $375 to $575 per person, per day for the land portion of the tour. For the young adult (ages 18 - 35) who wishes to travel with others. These tours are an alternative to the Eurail/Youth Hostel travel and feature many unique stops and activities. For those in that age range we can also recommend a variety of other tours, should a specific itinerary be of interest. Do not feel that you will be surrounded by older people on many of those tours. The young adult tours appeal to those who want the piece of mind not possible with a youth hostel style trip. These tours stay in special villages and hotels as well as modest inns and pensions. Most of the rooms are twin rooms but occasionally there will be four to a room. These tours feature all breakfasts and about half of the dinners. Optional excursions, similar to those available on the other tours (like folklore dinners and lake cruises), are available as well as a few options of interest to young adults like white water rafting. These tours typically run from $105 to $195 per person, per day for the land portion of the trip. No matter which style or length of tour you wish to use, a tour specialist will provide you with information so that you are best prepared to make the right choices for your travel. Airfare is always available for tours and we will research all avenues to find the lowest available fare from your chosen city to your destination. What is the time zone in Australia? 8-10 hours ahead of Greenwich Mean Time (+8 through +10 GMT) and 14 hours ahead of eastern time. What should I pack for a trip to Australia? If you're going to Australia on business, take formal attire: suits for men and skirt suits or business dresses worn with high heels (not flats) for women. Dress may be slightly more relaxed in hotter, tropical cities. If you are going for pleasure only, take (surf)board shorts, singlets (tank tops) and thongs (flip-flops) for the beach, or jeans/long cotton pants, T-shirts and shoes that you can walk in for sightseeing. Throw in a few smart-casual outfits and a light sweater or jacket for the evenings.